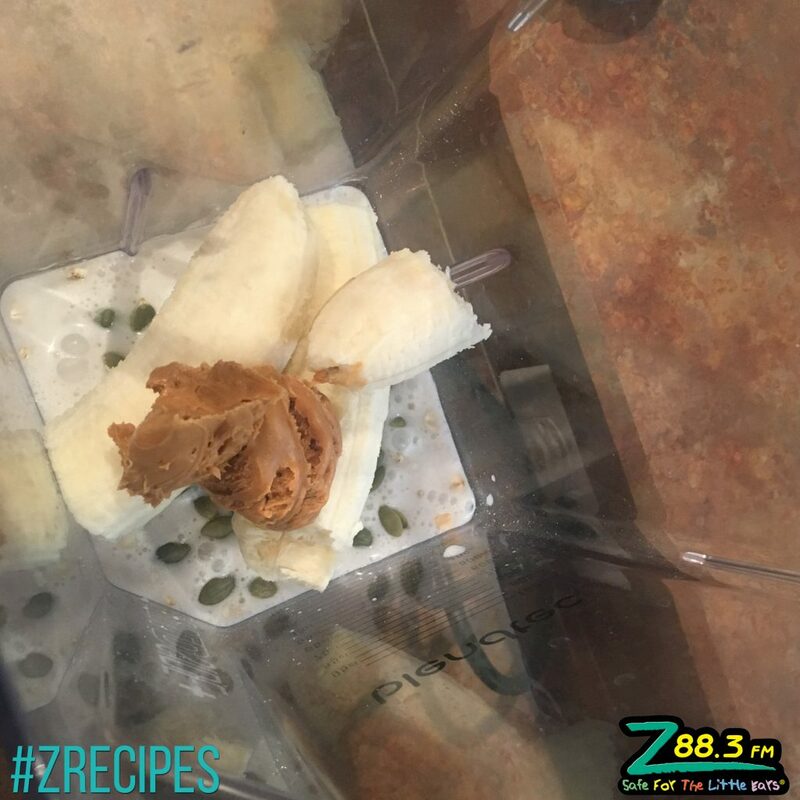 Now, back to this smoothie…It’s like a super thick peanut butter banana milk shake, but super healthy for you! 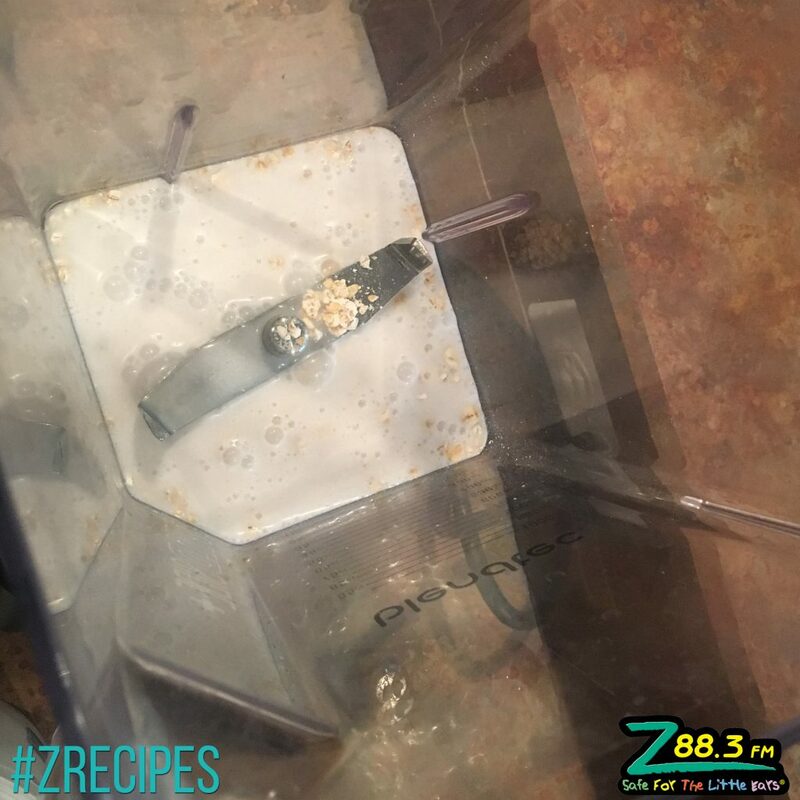 I’m not a huge fan of drinking calories, but it’s so thick that it literally takes me a half hour to drink it, which goes a long way in keeping you full longer. 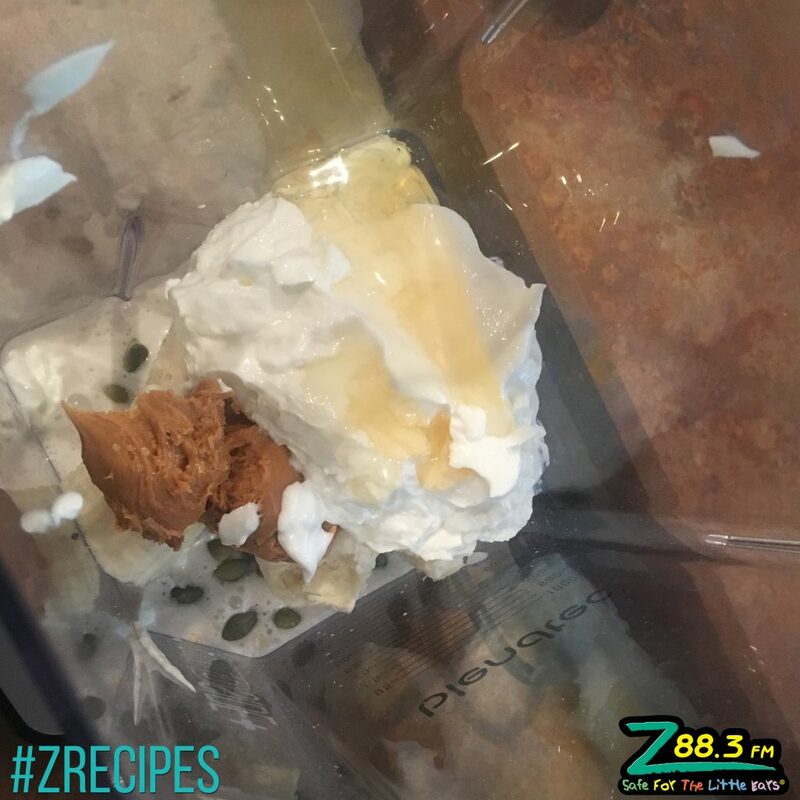 So much protein is packed into this with your peanut butter and greek yogurt. 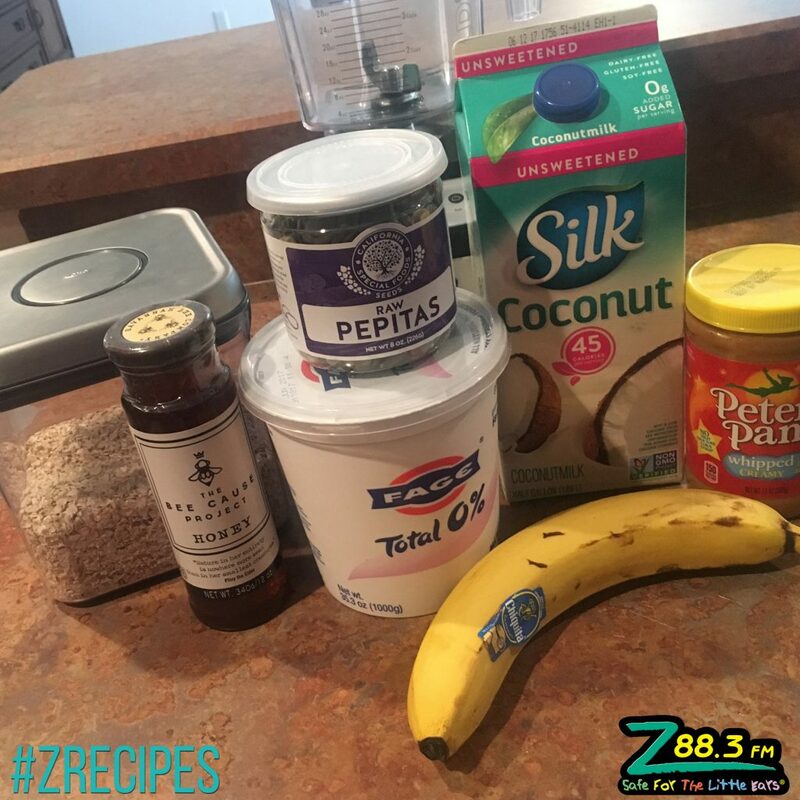 Then the bananas and the pepitas apparently help with digestion. 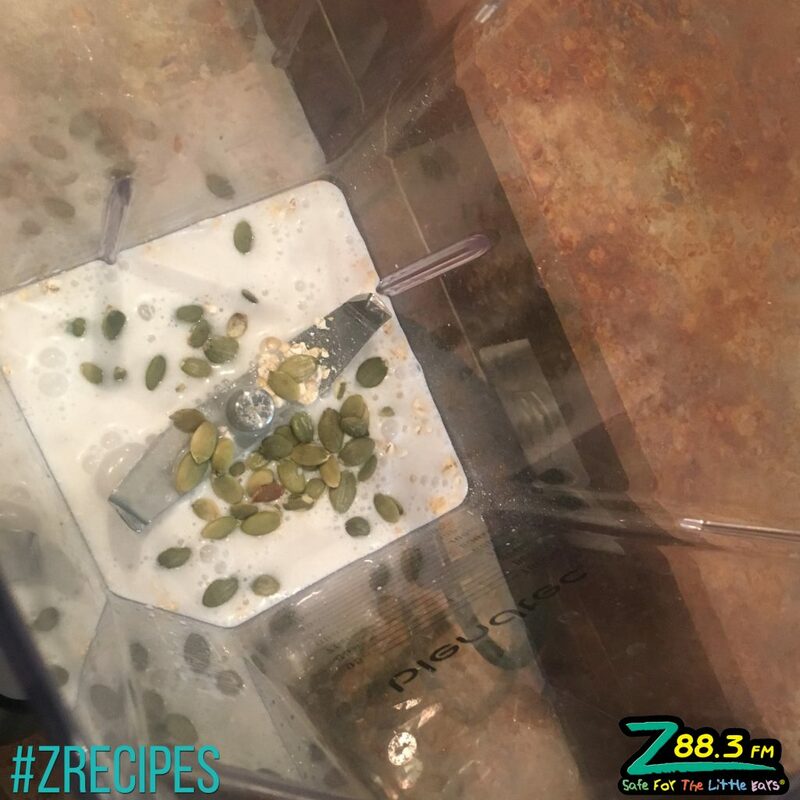 By the way, Pipitas are pumpkin seeds without the shells…grown in certain pumpkins without needing to shell them (I didn’t know either, until I started getting packets of them from Chick-Fil-a for my salads 🙂 ). 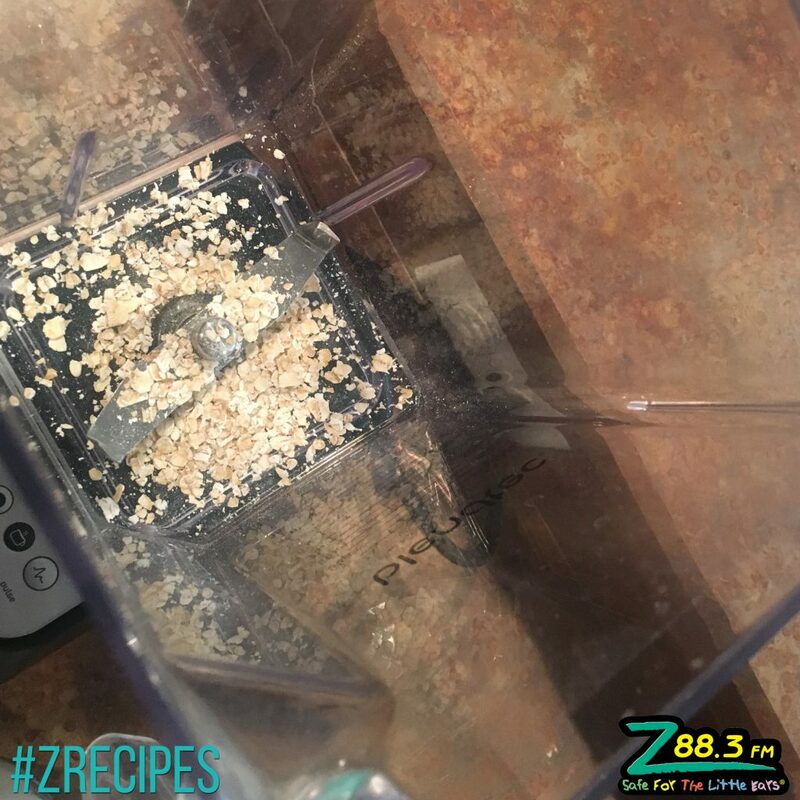 Lately I’ve seen more grocery stores picking them up, but honestly I’ve found mine for a while at Homegoods/Marshalls in their food aisles. 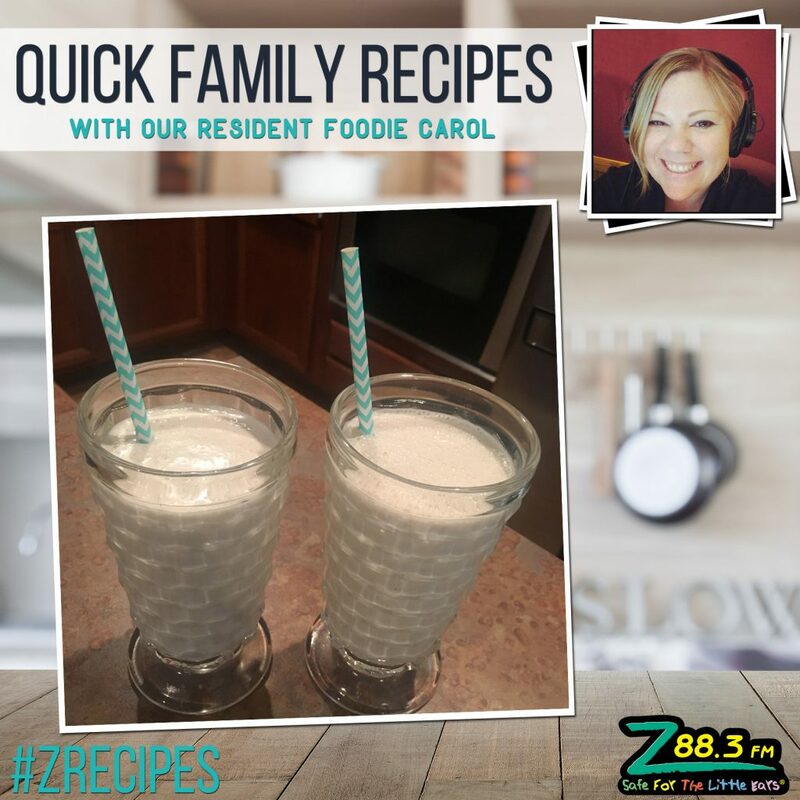 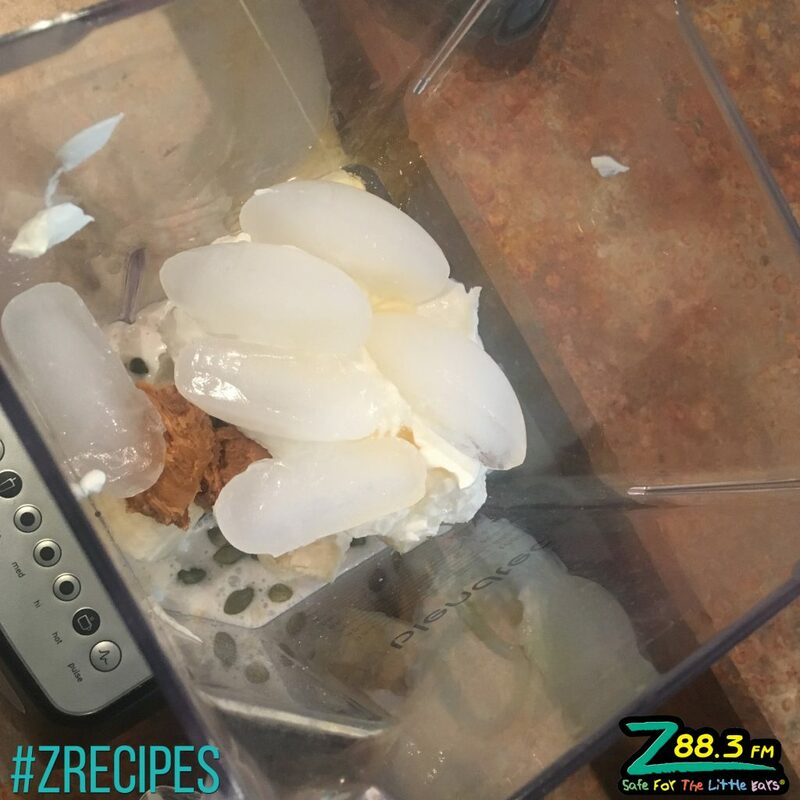 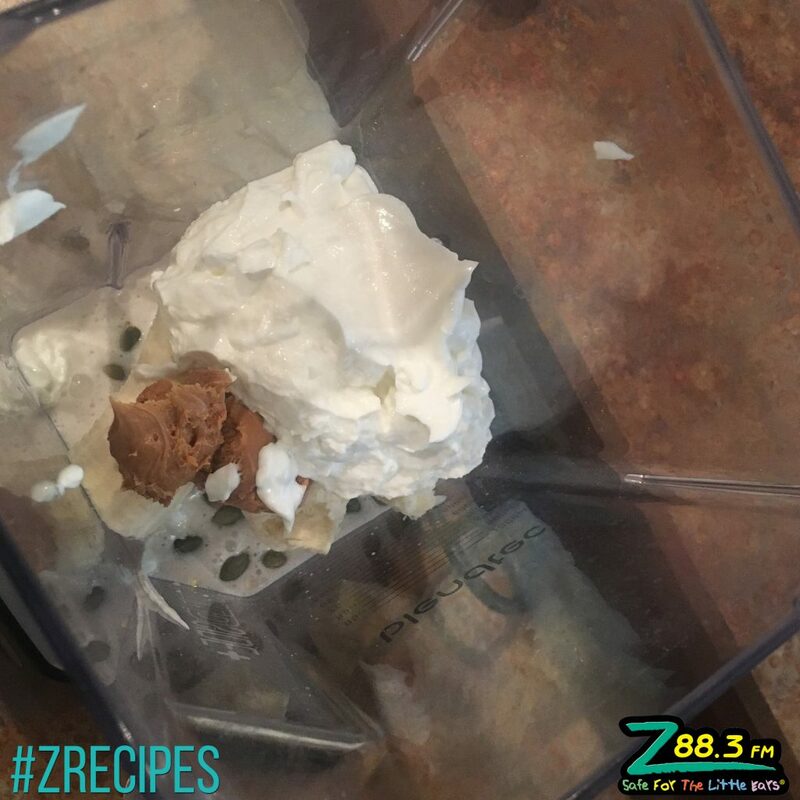 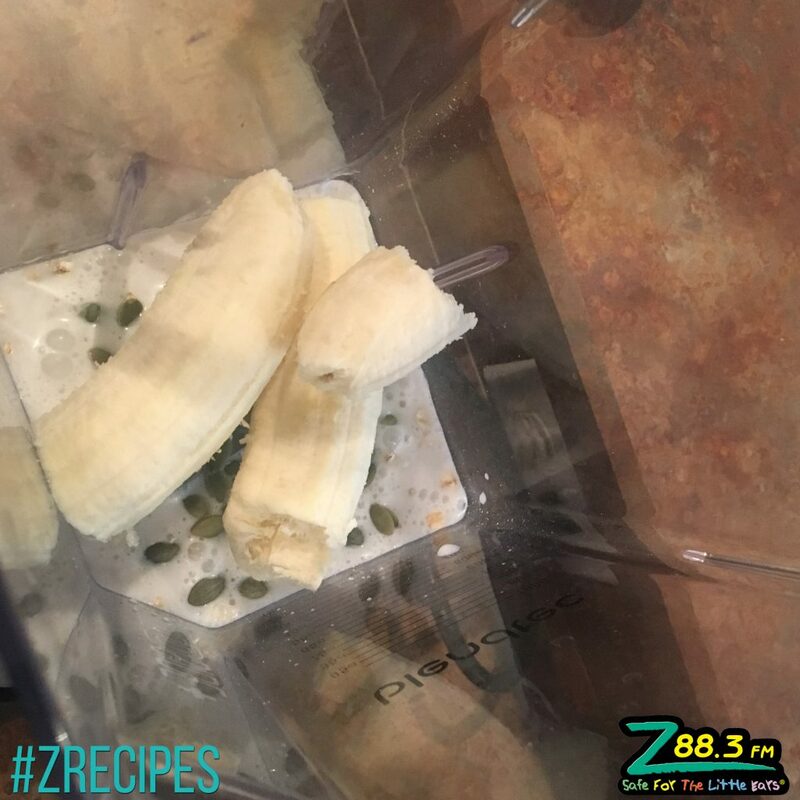 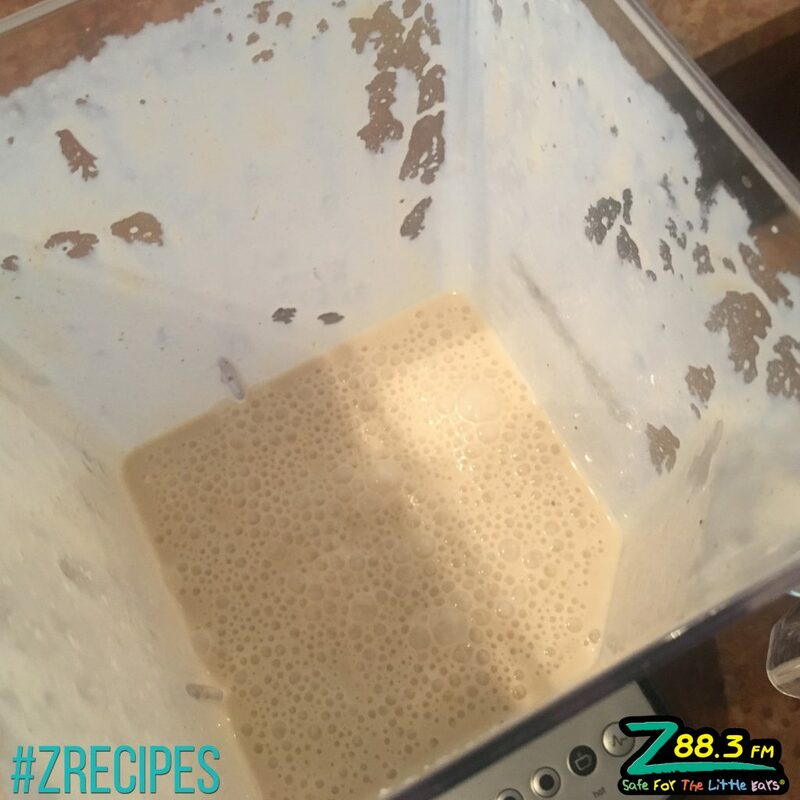 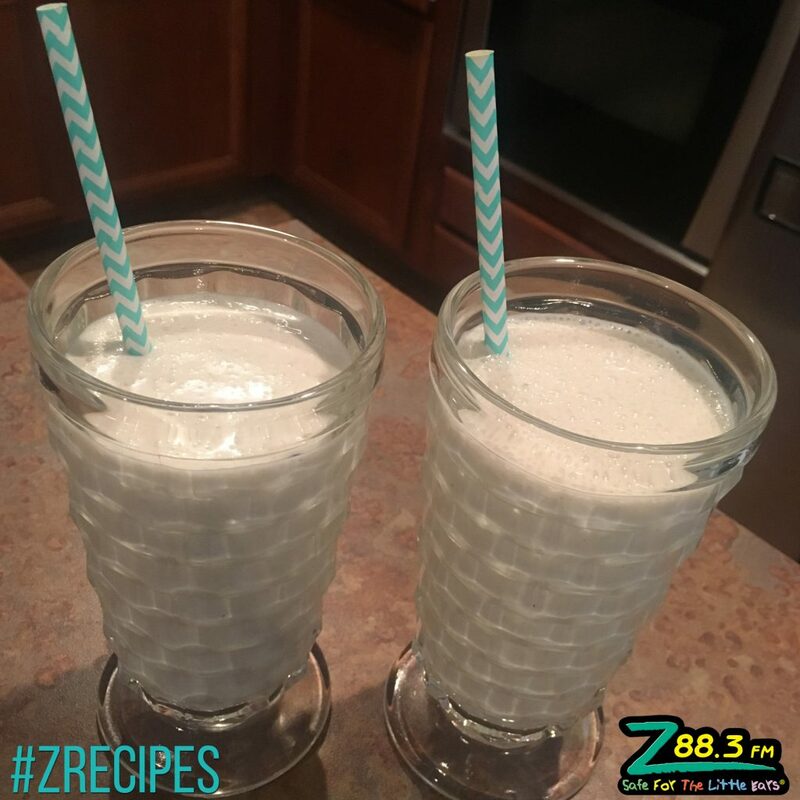 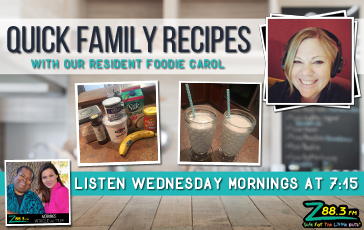 We would love to see pictures of your kids making this one with you…share your smoothie pictures on our Z88.3 Mornings Facebook page.